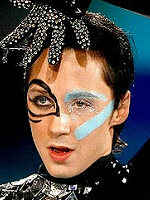 Are you going to watch Olympic ice dancing, dear readers? Of course not, you say? Well, we're gonna give you a reason! No, previously profiled Jewish medalist Ben Agosto is no longer competing. 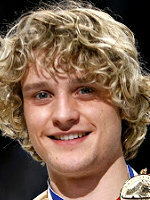 But Charlie White is! White, a silver medalist in Vancouver, is one of the favorites in Sochi. And when he won that silver medal, his grandmother called a local radio station and proclaimed that her grandson is Jewish! 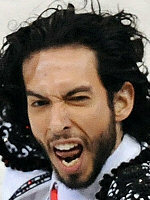 Various Jewish publications picked up on that and celebrated that rare Jewish winter medalist! Apparently, White's grandmother was a tad overzealous. Charlie isn't Jewish. SHE is, converting after marrying her second husband. In fact, Charlie is a proud Christian. As if you needed another reason NOT to watch Olympic ice dancing.